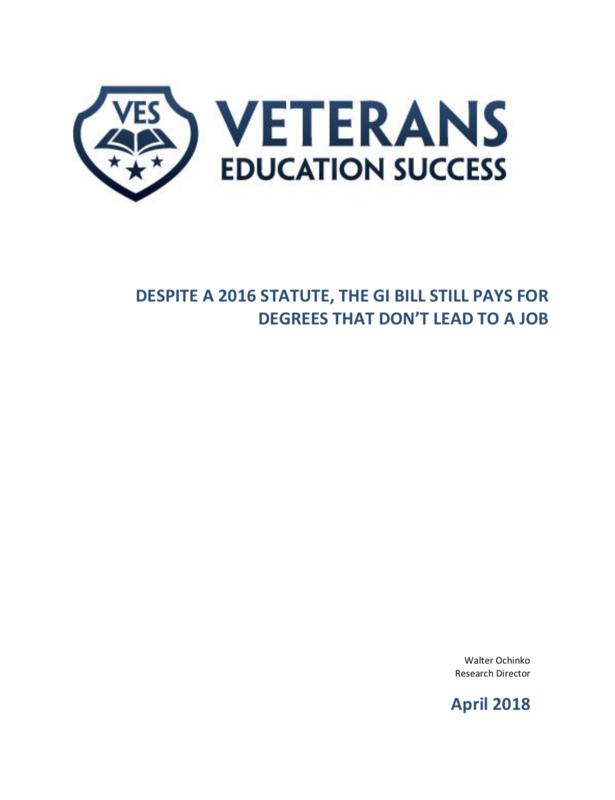 VES’s 2015 report, The GI Bill Pays for Degrees that Do Not Lead to a Job, identified 8-degree programs offered by 15 different schools, at both brick and mortar campuses and online, that failed to meet state or employer requirements, leaving graduates ineligible to work in their field of study. Yet, veteran students were able to enroIl in these programs at about 60 campuses across the country because the schools offering these programs were approved to participate in the GI Bill. Overall, GI Bill approved programs at about 20 percent of the 300 campuses we examined did not qualify graduates for state licensure or certification.